PSD is a native format of Adobe Photoshop, one of the most popular bitmap graphic editors used by designers and artists. PSD uses lossless compression and allows storing multi-layer graphics. 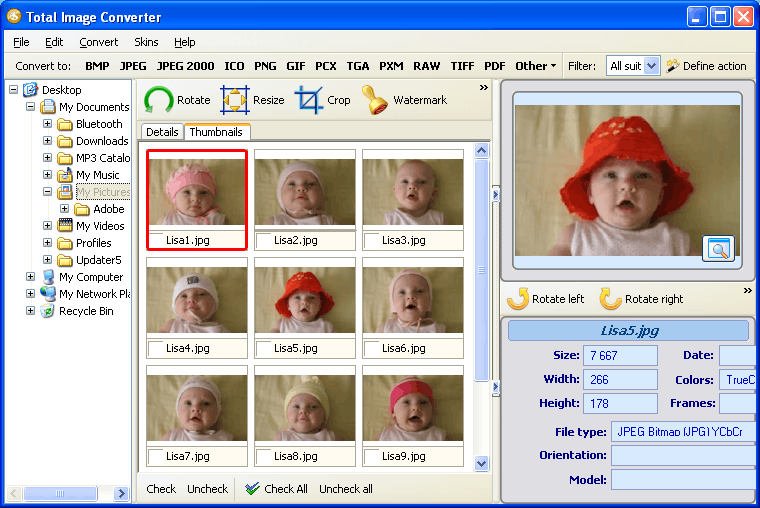 However most of PSD files are used in converted form, usually in JPEG or PNG, as these formats are more suitable for storing online, for viewing or sharing in presentations and emails. 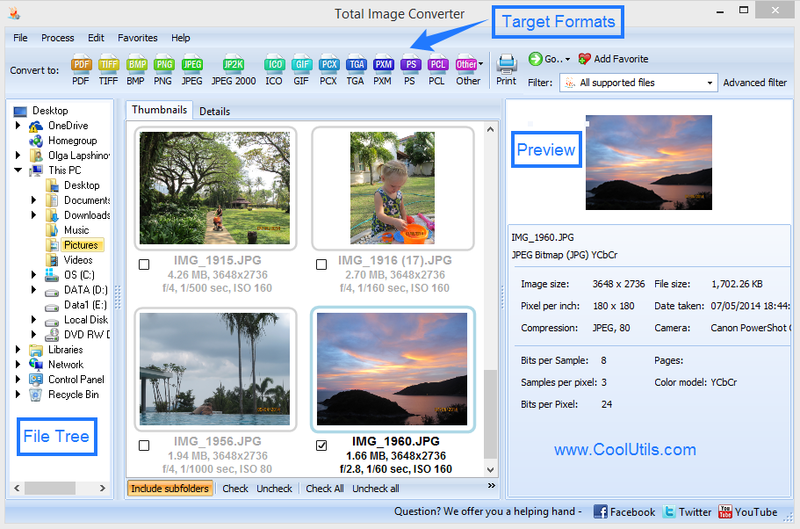 Converting files using batch image converter is highly recommended to those who need to cope with lots of files. Such apps offer to convert many files within one single command instead of converting them one-by-one. Open the program after installing it on your PC. Navigate through your memory folders using left-side panel to find required source files. When opening a folder, you will see its content in the central section. Check the required files (all at a time). If all files needs to be checked use ‘Check all’ options located at the bottom of the file list. 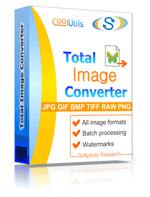 If you require to convert PSD to PNG format, click on ‘PNG’ button in ‘Convert to’ bar, where all conversion formats are listed. In the popped up window you will be offered to make a range of settings for the future PNG copies, starting from destination folder and up to image transformation options, transparency and watermark. You can set them manually or use default settings, depending on your requirements. After all settings are done, go to ‘Start conversion’ inlay and press ‘Start!’ button to confirm conversion start. That’s all! 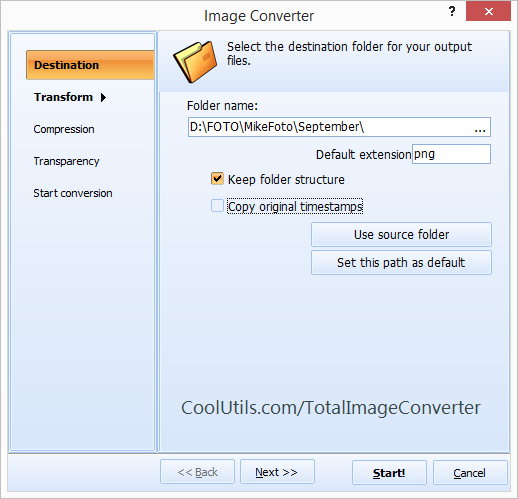 Converting PSD to PNG in batches is a unique feature offered by Total Image Convertor. It is unique for its high quality, fast performance and full adjustability of the process. Download it right now!